Saturn is the sixth planet from the Sun, the second largest, the most distant planet that can be seen with the naked eye, and perhaps the most beautiful of all the planets. Saturn, like Earth, has seasons and its atmosphere is mostly nitrogen. It's the least dense planet; a piece of Saturn would float in water on Earth. It has 62 known Moons and a fascinating system of rings encircle it. 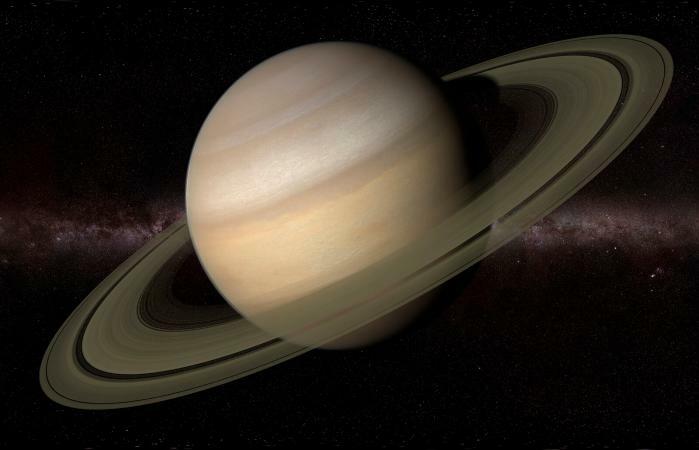 Belying its physical beauty, in astrology, Saturn is associated with limitation, restriction, fears, commitment, prestige, maturity, government, discipline, and order. It's the ruler of Capricorn and the natural ruler of the 10th house of the zodiac. 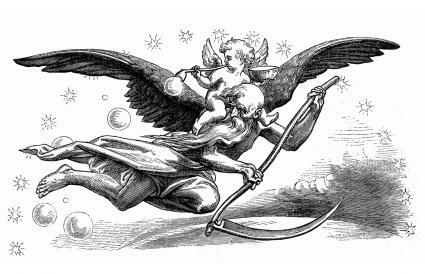 Saturn has several archetypes; Father Time, the Grim Reaper, and the Lord of Karma. Saturn's symbol or glyph (♄) represents a scythe or sickle. There is a "you reap what you sow" aspect to Saturn. The social planets (Jupiter and Saturn) are not part of your personality, as your Sun, Moon, Mercury, Venus, and Mars are. They but they affect your personality. The social planets speak of what was going on in the whole of society when you were born how that plays into and affects your personality. Its sign placement defines your age group. The house Saturn occupies and the aspects it makes to other planets and points are what astrologers typically interpret in an astrological consultation. Saturn, by sign, house, and aspect, is a "will do." It's what you struggle with, what you can't avoid, and where you feel inadequate. However, the fact that you are driven by a type of unconscious obsessive need to get Saturn right, through hard work, trial, and error you'll eventually earn a Ph.D. in your Saturn. To find the astrological sign and house of your Saturn you can use the free natal chart generator on Astro Seek. Entire Saturn groups feel the same sense of lack according to their sign, but in different areas of life (astrological Houses) and in different ways. The descriptions below are brief, so keep in mind that you can feel a lack of anything and everything the sign placement and house placement of Saturn represent. If your Saturn is in Aries, you feel a lack in your ability to lead and be assertive. The struggles you face in life will make you a courageous and responsible leader. If your Saturn is in Taurus, you struggle with a lack of self-worth and financial security. Through life's ups and downs, you'll learn your worth and become an excellent money manager. If you're born with Saturn in Gemini, you struggle with a rigid thought process. Through life's ups and downs, you'll learn to be flexible in your thinking and more open to learning and sharing what you know. When your Saturn is in Cancer, you struggle with bottled up emotions. Through life's ups and downs, you'll learn to excel at giving emotional support to anyone who needs it. If your Saturn is in Leo, you struggle with a lack of praise and attention. Through trial and error, life will teach you how to excel at getting positive attention and applause by bringing joy and playfulness into the lives of others. If you have Saturn in Virgo, you struggle with feeling judged and judging others. Your struggles in life challenge you to recognize the importance of serving rather than criticizing. When your Saturn is in Libra, you struggle with appropriate boundaries in relationships. Through your ups and downs in relationships, you'll excel at being a great mediator and at recognizing the role others play in your life. If your Saturn is in Scorpio, you struggle with the life and death mysteries of life. Through the chaos and traumas of your life, you can achieve mastery at handling the deep psychological problems of others. With Saturn in Sagittarius, you struggle with narrow thinking. Your life's experiences will challenge your beliefs, open you to the greater world, expand your thinking and because of this, you'll have mastery at philosophy and teaching. If your Saturn is in Capricorn, you struggle with being responsible. Through life's ups and downs, you'll learn to be a person who knows your responsibilities and is also skilled at delegating responsibilities. With Saturn in Aquarius, you feel a lack of belonging. Through trial and error, you'll learn not to care what others think of you and that what you're thinking and doing may marginalize you but it is important. If you were born with Saturn in Pisces, you struggle with compassion and forgiveness. Through life's ups and downs, you will learn no one is perfect, become forgiving and compassionate, and find peace in service to those less fortunate. Saturn plays a significant role in relationship astrology; it's the glue that holds a relationship together. You won't see many long-lasting relationships that don't have a significant Saturn contact to the personal planets between two partners' birth charts. In astrological terms, the orbiting (transiting) planets form geometric angles (called aspects) to the planets in your birth chart. During Saturn's 29.5-year journey around the zodiac, it connects with everything in your birth chart, and when it does "reality bites." It can be a time of hard work and taking on additional responsibilities, or a time of letting go of responsibilities. Either way, a Saturn transit can be depressing. Keep in mind that Saturn, or any other transiting planet, does not cause anything to happen. Saturn works for you by providing the disciplined energy necessary to deal with what's happening. A consult with a professional astrologer can clue you into when and where Saturn will be hard at work in your life. Everyone experiences this astrological event at roughly 29.5-year intervals, ages 27-31, 56-60 and 84-90. These are the ages when Saturn returns to its birth house, sign, and degree placement in everyone's birth chart, it marks an end and a beginning. At each Saturn return "reality bites" down hard and a person is confronted with serious questions about the life they've been living and the life they want. The first Saturn return (ages 27 - 31) is the most significant, it's a three-year period of change, frustration, feelings of uncertainty, depression but if you navigate it well, it's a time of self-learning. This self-learning can manifest in either good or bad ways. It can be experienced as a time of upheaval and endings or a time of reaping rewards. The first Saturn return is a rite of passages and the real beginning of adulthood. Navigate it well, and by your early 30s, you have new clarity about your life as you move into a new 29.5-year Saturn cycle. The Grim Reaper aspect of the first Saturn return has been mythologized in exhibitions, novels, films, and stage plays that pertain to the "27 Club." The "27 Club" is a list of famous musicians, artists, and actors who passed at age 27. The list includes Brian Jones, Jimi Hendrix, Janis Joplin, Jim Morrison, Kurt Cobain, Any Winehouse, and many others. It's best to think of Saturn as a loving parent who, for their child's wellbeing, makes rules, sets limits and be harsh. The child may not like it. They might even rebel against parental authority and need to be disciplined, but as any good parent and Saturn knows, people need boundaries on their behavior in order to grow safely and succeed in life. Don't Know Your Sign? Click here to find it! 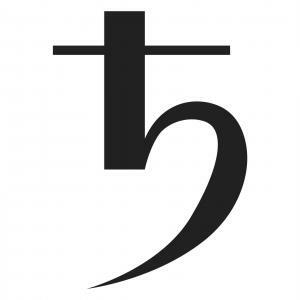 Taurus Personality Traits By Patricia Lantz C.Ht. Scorpio Behavior When in Love By Patricia Lantz C.Ht.